Pour the water into a small bowl and place it on the oven. Turn the heat on and let the water warm up a little. Take the bowl out of the flame and add gelatin to the water. Mix them together with the help of a spoon. Using warm water will help you dissolve the gelatin into it properly. Now, remove the lid of the old eyebrow gel or mascara tube, place the funnel on its opening and start pouring the gelatin mixture into it gradually. Make sure that the tube is not filled with it completely. There must be a little space at the top. Then, add both types of essential oil to the tube and close it tightly by putting the lid once again. Set it aside for next 3 to 12 hours so that the whole concoction turns quite thicker and forms a gel-like substance. If you find that your homemade eyebrow gel is not that thick, just add the glycerin to it and let it thicken up for the next couple of hours. Glycerin will give sufficient hold to your very own eyebrow gel so that you get your desired results easily. Take a small portion of a fresh aloe vera leaf and scoop out its gel carefully. Transfer the frehs aloe gel to a small bowl to prepare your homemade eyebrow gel. In case you are unable to find fresh aloe vera leaf, replace it with a clear or transparent mascara. Take a very small piece of the matte eye shadow, crumble it into fine powder and add it to the fresh aloe gel or clear mascara. 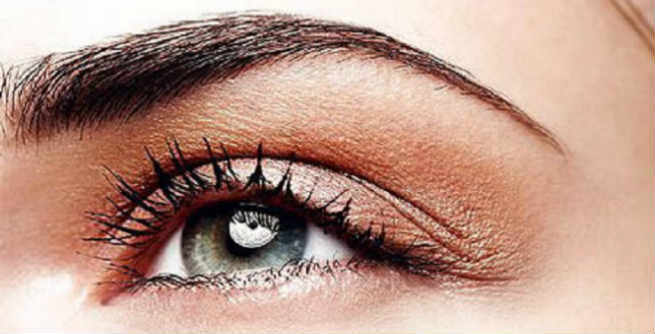 Remember, the shade of the eye shadow should go well with the natural color of your eye brow. Otherwise, you will end up getting a bizarre look. 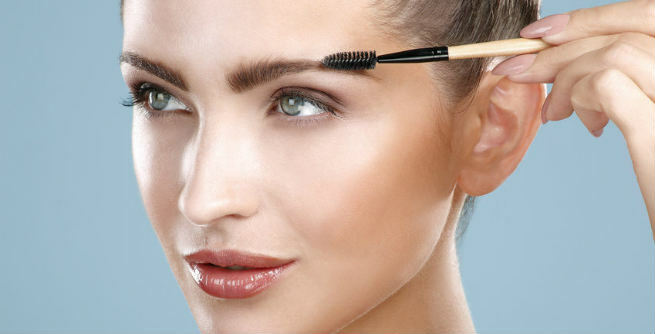 Now, take the eyebrow brush or the old mascara wand and mix the eye shadow powder with the aloe gel properly. You may need to add more eye shadow powder, if you want a stronger tint. However, the final product should be smooth and even-toned. At last, tale the eyebrow brush and apply the homemade gel to your eyebrows with it slowly to look beautiful. So, when are you going to give this DIY a try?